The festive season will be upon us next week and we can’t wait for a month full of Christmas songs, music and lots of cheer! Whether your home will be full to the brim over the festive season or if you’re doing things slightly quieter and more minimal this year, now is the time to start bringing those festive touches into your house. 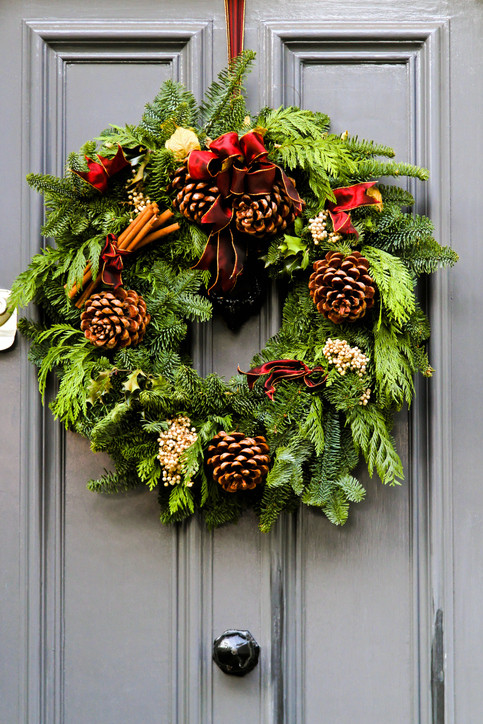 To make sure your visitors are feeling in the Christmas spirit as soon as they reach your front door, add a wreath and a festive door mat. 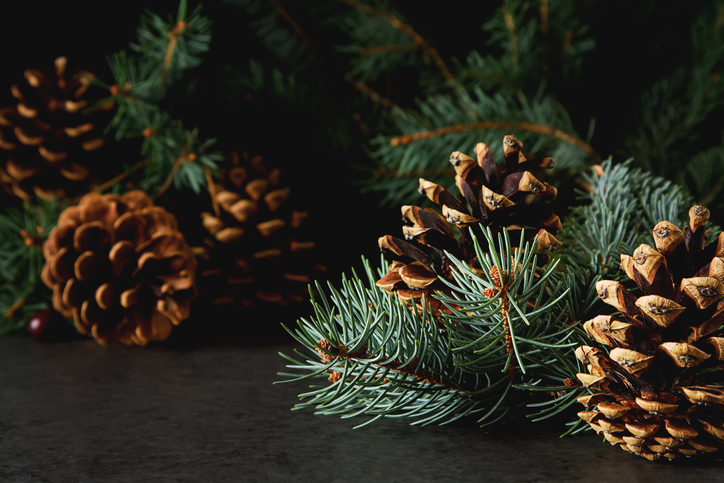 There are so many choices when it comes to wreaths – from a traditional pine cone effect, to contemporary pom pom designs, you’ll be able to find the one that reflects your personality the most. You don’t just have to keep the greenery to your Christmas tree! Garlands are a gorgeous addition, guaranteed to brighten up your mantlepiece, dining table or bannisters. If you choose a plain base, you can add decorations and lights to match your interior style. Often the star of the show and pride of place in many homes – the tree. Real, nordic trees are now available to buy and there are tons of great offers available if you’d prefer a faux effect this year. Cover in fairy lights, tinsel, decorations and whatever else takes your fancy! 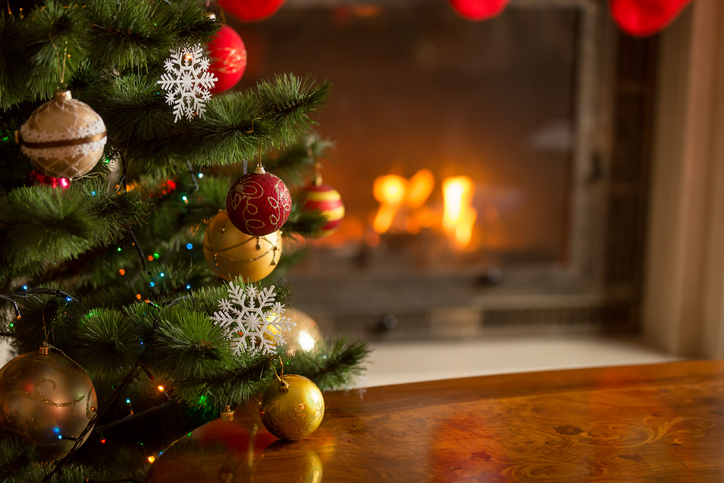 If your home isn’t quite big enough for a large Christmas tree, consider two smaller, potted trees either side of your fireplace. 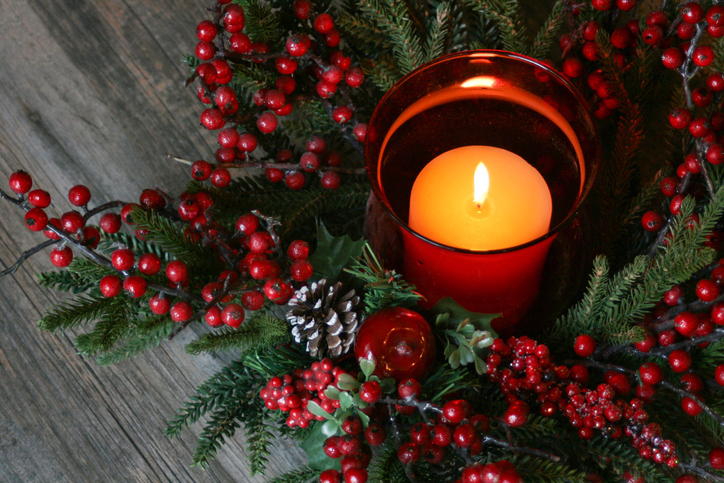 To fill your home with beautiful festive scents, light some Christmas candles for instant ambience. And if you have visitors on the way, a pan of mulled wine on the stove or some Christmas treats in the oven will always be met with smiles!